The MT330 lanyard can be a convenient aid to pull MT330 out of your pocket or put over your wrist freeing your hands to hold other objects. Thread the small loop of the lanyard through the hole in MT330 so that it pokes through the other end. Before first use, please fully charge MT330. Connect the provided USB cable into a computer's USB port or plug the cable into a 5V USB Power Adapter and plug it into a AC (Mains) power outlet and turn on. Now connect the micro USB end of the cable into MT330. MT330 will turn on when charging, this is normal. A full battery charge will take approximately 3 hours. 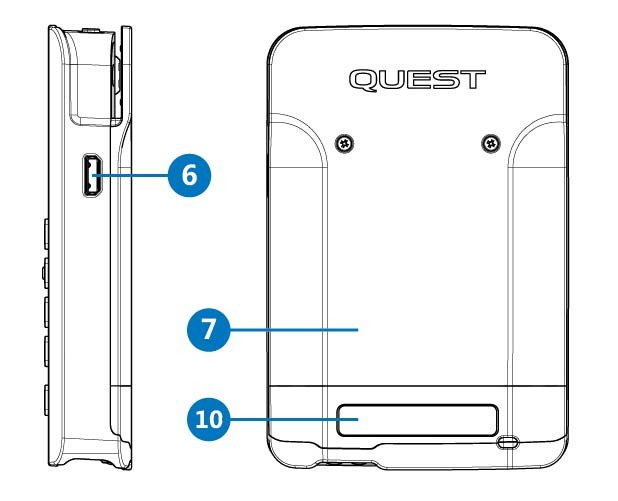 Note: 5V USB Power Adapters are readily available for purchase from most electronics retailers, alternatively, you can be purchase a 'Quest Certified' 5V USB Power Adapter directly from Quest. Contact Quest for more information. MT330 is fitted with a 500mAh Lithium Ion Battery. To maximise the Battery life span, avoid full discharges and charge the battery more often. Partial discharge on Li-ion is fine; there is no memory effect and the battery does not need periodic full discharge cycles to prolong life. 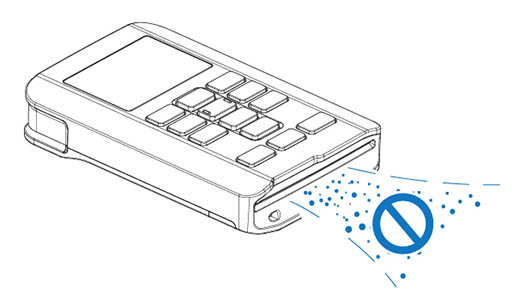 Do not store the MT330 device for extended periods with a depleted battery. Doing so may result in permanent damage to the battery or the device. Press and hold the button located at the top of MT330 for 3 seconds until you hear a beep tone, then release the button. The LCD will turn on. Press and release the button to ‘Sleep’ MT330. 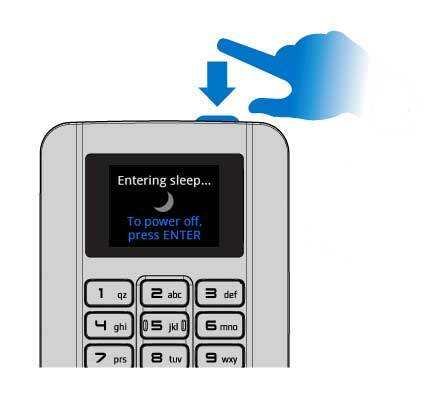 Note: A transaction started by your device will wake MT330 from its ‘Sleep’ state. There are 2 options to turn off MT330. 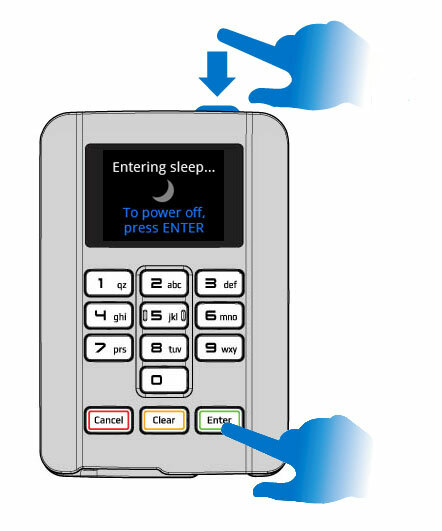 As MT330 is entering 'Sleep', select ENTER on the MT330 keypad. 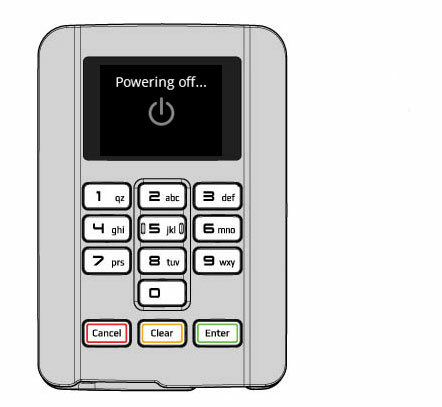 The MT330 will then show that it is powering off. Note: You will need to wait 5 seconds after turning off before attempting to turn MT330 back ON. If for some reason MT330 will not respond, hold down the ‘Cancel’ button and press the ‘8’ button to perform a cold restart. This function will also run the MT330's power on self tests. 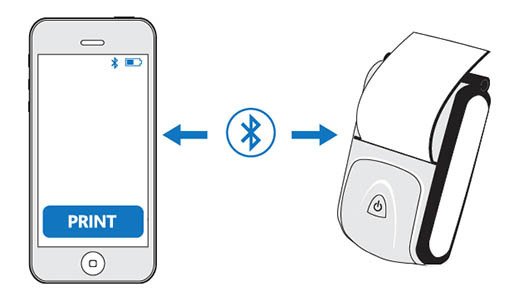 Bluetooth is a reliable, secure, short distance communication method. 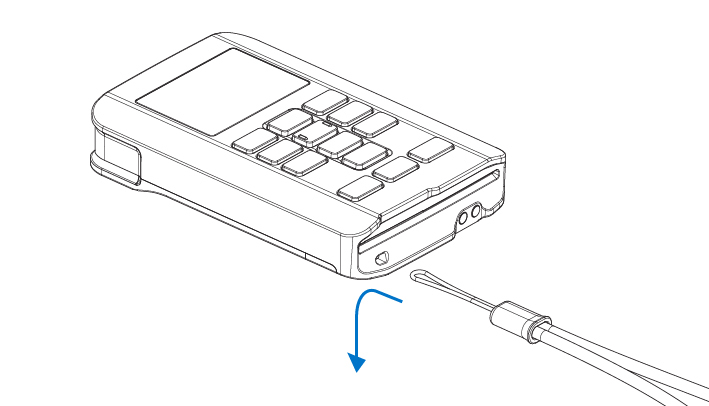 MT330 supports Bluetooth Classic and Bluetooth 4.0 LE. Ensure your device is compatible by viewing a list of devices here. To use the MT330 to perform a credit or debit card transaction, you will need to download the Quest 'Pocket Pay' app and download it on your chosen smartphone or tablet. See here for detailed instructions on how to download and use the Pocket Pay app. Cards with a chip will be required to be inserted into MT330. 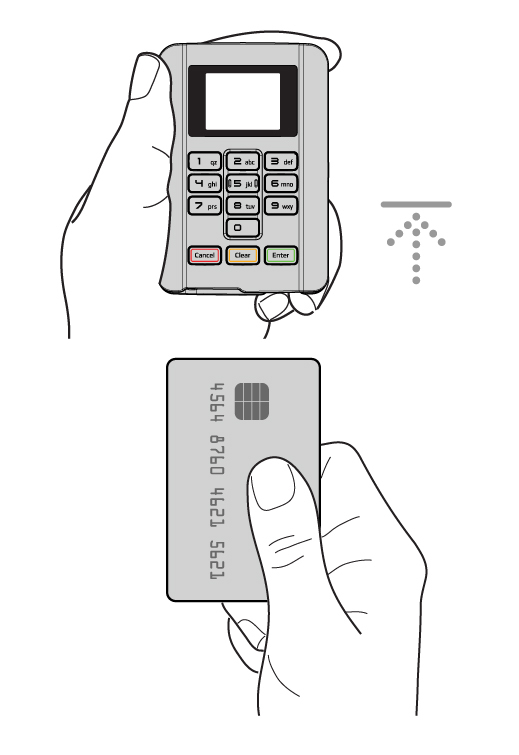 The ‘Chip’ on the card must be orientated upwards as shown below. The card must be inserted fully into MT330 until it stops. Leave the card inserted until prompted on the display to remove the card. The magnetic stripe on the card must be orientated upwards as shown below. The card can be swiped in either direction. Swipe the card along the bottom edge of the slot with a smooth action. One pass through the slot should be adequate to read the card successfully. 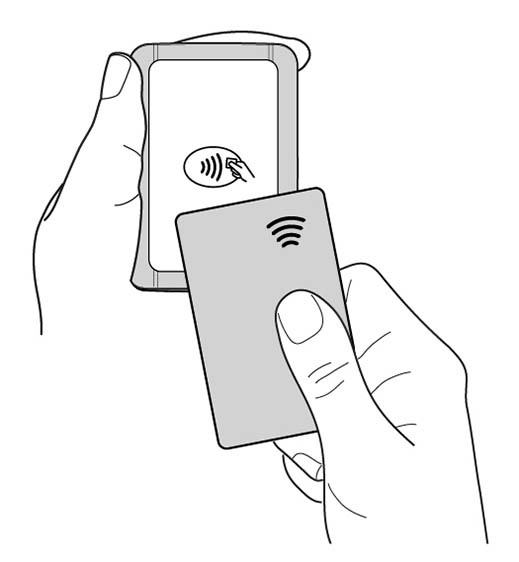 If the card cannot be read, MT330 will prompt for the card to be swiped again. 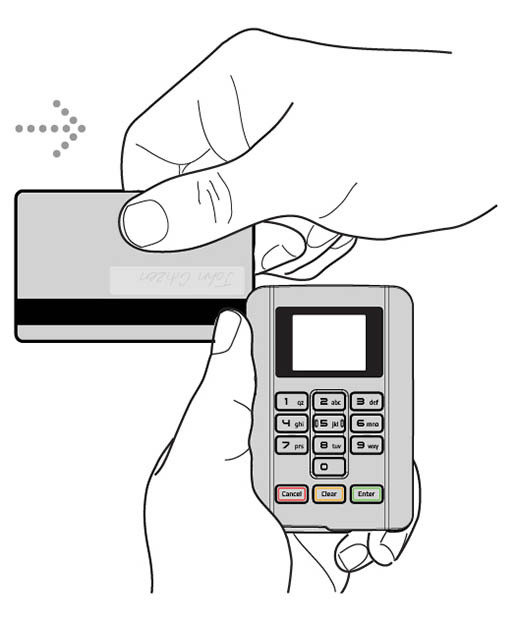 When required, MT330 will prompt the Customer to enter their card's PIN. 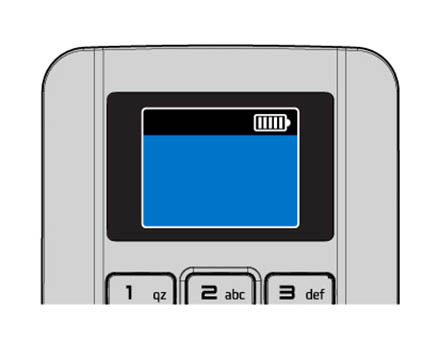 PIN entry should always be completed on the MT330's secure keypad. If required, MT330 will ask the Customer to select an Account for the transaction. Each account will have a corresponding numeric button. 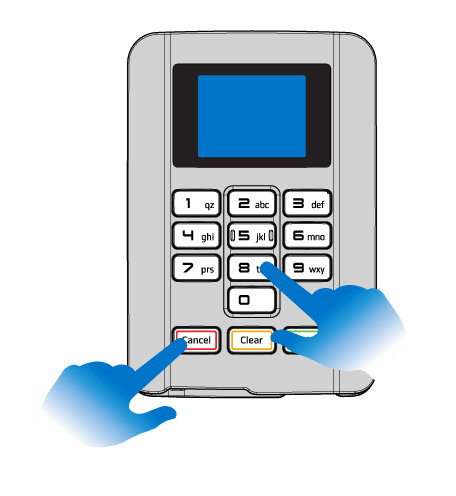 Pressing ‘Cancel’ (red button) at any stage before the customer enters their PIN, will void that transaction. Also use ‘Cancel’ to decline a prompt / question posed by MT330. ‘Enter’ (green button) is used to accept a prompt / question posed by MT330. 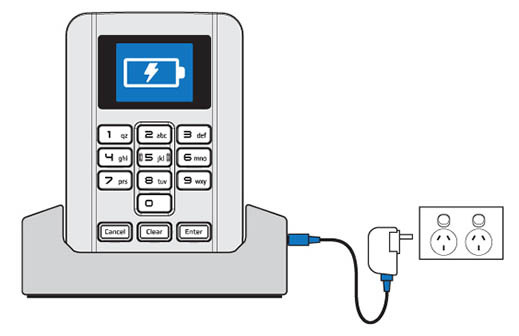 If required, a replacement Lithium-Ion battery can be installed in MT330. The MT330 cradle contains charge contacts that connect directly to the outside of MT330. Simply drop in MT330 and walk away. Connect the MT330 Cradle using a standard 5V microUSB cable (supplied with MT330). Contact Quest for more information. A convenient charging method is using the 'Quest Certified' 5V USB Power Adapter plugged into a AC (Mains) power outlet. Contact Quest for more information. 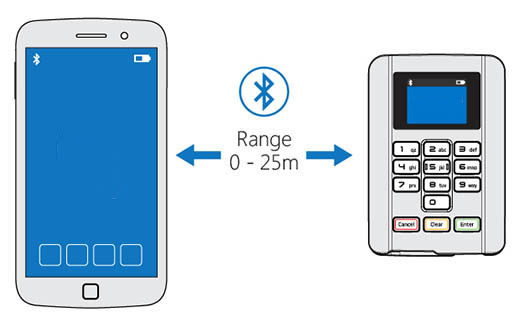 To accept Contactless payments, an optional accessory is required to be attached to MT330. 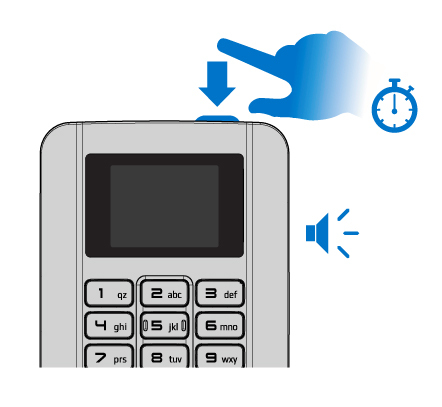 Speak to Sales if you would like to upgrade your terminal to include contactless card and mobile acceptance. 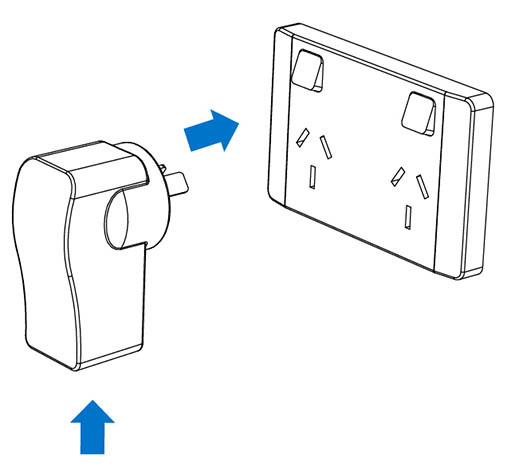 Before operating MT330, read and understand all instructions in this guide. Do not use MT330 whilst in control of a vehicle. Do not drop, knock or shake MT330. Rough handling could break internal circuit boards and mechanics. Storage - Store MT330 in a cool dry place. If in long term storage, the battery must be fully charged before storage and the battery level must be periodically checked and recharged every 6 months to avoid damage to the MT330 or its battery. Do not disassemble MT330 or its accessories. If service or repair is required, contact Support to organise for the unit to be returned. If the unit is disassembled this will void the warranty and will render the device inoperable. 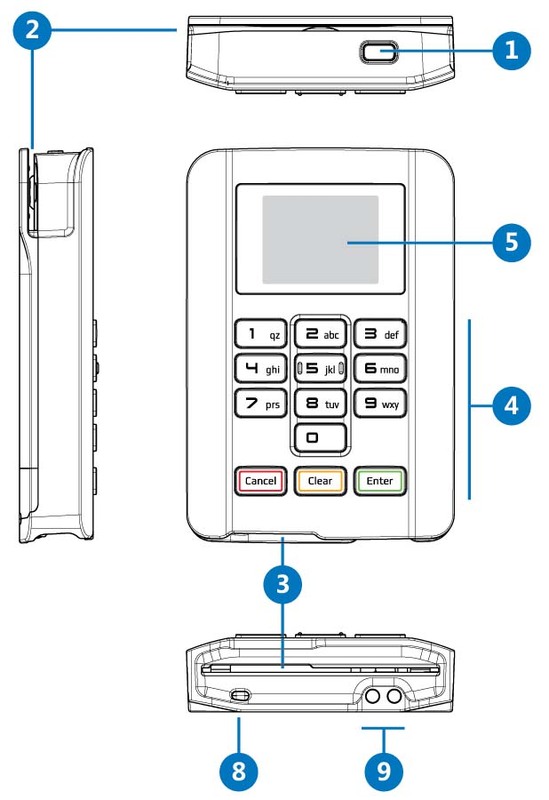 If your MT330 gets stolen, please call the Support team immediately for remote deactivation. Acting promptly will help to reduce any potential for fraud. At end of life, your MT330 must be returned for secure disposal. MT330 contains sensitive bank details. Contact the Support team to arrange for MT330 to be returned and disposed of securely.